BLEM models are determined as blemished units by the manufacturer. They are mechanically sound and carry a full mechanical warranty. BLEM FIREARMS may show signs of being used, handled and fired from factory demonstrations. We can not fulfill requests for additional photos or condition regarding BLEM models. The P10 isn't just any striker fired pistol. 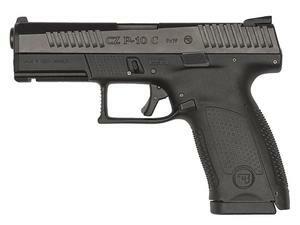 It offers ergonomics and a trigger not found on most striker fired handguns. Built off a fiber-reinforced frame that can stand the rigors of military use. The addition of tritium night sights are ideal in low light conditions.